I can honestly tell you that the decadence that is pictured above is definitely worthy of it. Those Paleo Upside-Down Apple Tartlets come straight from Elana Amsterdam’s latest cookbook: Paleo Cooking from Elana’s Pantry: Gluten-Free, Grain-Free, Dairy-Free Recipes . I have been making Elana’s recipes for years. They are, by far, some of my favorites because I love her cooking style: simple ingredients and directions that result in the freshest and healthiest recipes. This recipe collection did not disappoint and is full of simple recipes that every single person in the family will adore. The photography is absolutely stunning (as evidenced above) and the recipes are all Paleo, grain-free, gluten-free, dairy-free, and nightshade-free. All of these breakfast, entrees, salads, desserts, beverages, and more are quick and simple to make your time in the kitchen fast and efficient…just my kind of cooking. You will love, love, love this book. It was just released and available for immediate purchase June 18th, 2013. And lucky for one of you, I am giving away a copy to one lucky person here! Update: This Contest is NOW CLOSED. Winner has been notified by email. If you would like a copy of this book, just simply do One, Two, or all Three of the following for a chance to win one. Just leave A SEPARATE COMMENT for each one that you do so that you can earn an entry for each. 2. Follow Cook It Allergy Free and/or Elana’s Pantry on Facebook, or tell me if you already do. The contest will end on Wednesday, June 26th at 9am PST. The winners will be announced then. You must be at least 18 years old to enter. Disclaimer: While the cookbook was provided to me for free by Ten Speed Press, I was not paid for this review and the opinions are my own. The cookbook included in this giveaway is being provided by me. And now I am happy to share Elana’s Paleo Upside-Down Apple Tartlets… these are incredible and were promptly devoured by my entire family. They are really simple to make and would be a perfect Fourth of July Treat! Preheat the oven to 350°F. Place eight 1-cup wide-mouth Mason jars on a large baking sheet. To make the crust, pulse together the almond flour and salt in a food processor. Add the coconut oil and stevia and pulse until the mixture forms a ball. Transfer the dough to a piece of parchment paper and place in the freezer for 20 minutes. To make the filling, place the apples, apple juice, lemon juice, arrowroot powder, and cinnamon in a large bowl, and toss to combine. Transfer the apples to the Mason jars so that each one is overfull. Divide the remaining juice from the bottom of the bowl between the jars. top of each apple-filled Mason jar. Bake for 40 to 50 minutes, until the juices are bubbling and the crust is golden brown. Serve the tartlets hot out of the oven. This dairy-free whipped cream recipe calls for full-fat canned coconut milk. The fat is what makes the recipe creamy and luscious; light coconut milk won’t work and results in a watery mess. Serve over Upside-Down Apple Tartlets (page 101 in the book) or Peach Cherry Crisp (page 98 in the book). Place the can of coconut milk in the refrigerator at least 24 hours before making the whipped cream, so it is well chilled. Chill a metal bowl in the freezer for 15 minutes. Take the coconut milk out of the refrigerator and remove the lid. Gently scoop out the coconut fat, placing it in the chilled bowl. Pour the remaining liquid into a glass jar and store in the refrigerator, saving it for another use. Using a handheld blender, whip the coconut milk fat until light and fluffy, about 1 minute. Whip in the honey, vanilla extract, stevia, and salt. I am really looking forward to this cookbook. I have her other cookbooks and have followed her blog for the past three years since we went gluten-free. Her recipes are easy to follow and so good. Thanks for hosting the giveaway. I have just gone gluten free and am in dire need of some recipes that are tried and true. This cook book will be an awesome blessing to my kitchen and new journey. I have been following Elana’s Pantry on FB for a long time. Love her recipes and tips. I have shared this cookbook giveaway on my Pinterest giveaway board. I have shared this giveaway on my FB page. I love Elana’s recipes! We’re 80% paleo in our house, but struggle to give up all dairy, so this book would be a perfect addition to my collection! I’m looking forward to this book as I’ve been wanting to start making Paleo recipes for my husband and I.
I already follow Elana’s Pantry on Facebook. Shared this giveaway on my Pinterest Contests Board. I love trying new gluten-free recipes. I love simplicity when cooking and wholesomeness for ingredients I can’t wait to try some recipes. I Follow Cook It Allergy Free and Elana’s Pantry on Facebook. What a seriously fun recipe! Elana is so inventive with almond flour. Just thumbing through her new book now! I would love to try paleo cooking/baking to see if this will ease some of my daughter’s tummy problems. I would love to with Elana’s new book. I am trying to incorporate more Paleo meals into my diet. Thanks for the giveaway. What a great cookbook. Love the no sugar aspect. Following both pages on FB now. Didn’t even know Elana had a FB page. Thank you! Tweeted it, which will Post it on FB, and I pinned it. I have followed Elana’s Pantry for a year now. I love the ease of her recipes. I can get most of the ingredients at any store close to me, whether I am walking or on the bus. Breakfast is always hard for me, I struggle with wanting my toasted Paleo Banana Bread all the time.. Don’t always have time for eggs and bacon. I love that her new book has so many meal ideas, including BREAKFAST. I am a sporadic follower because my neighbor and several friends eat gluten free. I have been told my gluten free foods are absolutely wonderful thanks to your recipes. I would like your cook book to continue making healthy and enjoyable foods for them, but mostly for me. I have been a weight watcher for years and am no longer successful at losing the excess weight. My neighbor and friends have let go of a great number of pounds and have become much healthier as a result of eating gluten free. This cookbook sounds like a way for me to be successful on many different levels. Thanks for giving me this opportunity to start thinking in a different direction. I’m intrigued about this cookbook, I have her other almond flour cookbook, which is great and I’m always looking for new gluten-free recipes! Would love to get my hands on this. Love paleo but it is a bit hard with allergies. This would be helpful! I love how the cookbook is paleo, along with being allergen free. I am following both on facebook. I love how I can use this cookbook and there are not ten million different flours! I am new to allergy free cooking and this book looks like it would inspire me to fully embrace that lifestyle. I follow you and Elana’s Pantry on facebook! I’d love to own her book. Her receives are very doable. I’m always on the lookout for a gluten free cookbook that uses fresh, simple ingredients. This one looks amazing! I already follow both pages on Facebook. I’m sharing this post via Facebook right now. I discovered a gluten intolerance after my second miscarriage and subsequent journey through the world of infertility. Both pregnancies came after a “fast” which, although not labeled gluten-free, were in fact just that. Unfortunately, the damage had already been done. I have recently started a Whole30 because obviously my body needs some serios nutritional healing, and I’ll be sticking with Paleo afterwards. I cannot believe the difference in, well, everything! I sleep better, chronic “conditions” are clearing up, I have more energy, my mind is clear, and I just feel BETTER! It just goes to show you how important it is to feed our bodies the right way. I would love to get my hands on this cookbook to help kickstart my new healthy journey! I follow you on Facebook and I shared your newsfeed. What intruges me the most about this cookbook is how simply the recipes are and they go with our diet of no dairy,soy, eggs, or gluten. Due to my child’s allergies to all these things it is always nice to come across recipes that taste good and are simple to make. I work full time so it is hard to have dinner before 8 because of the time it takes to prep and cook food from scratch. Thanks for your time. I am excited to win this cookbook by Elana! I love her recipies and she shows that you can eat well and enjoy your food. Thanks for the giveaway! Eight months ago I was diagnosed with Hashimoto’s Thyroiditis, and prescribed a gluten free diet. Later dairy and corn was added to the things I needed to avoid. It’s been a learning process but I have been, I believe, completely gluten free for about 8 months. The only problem is that I don’t feel better and through research I have discovered how incredibly unhealthy a gluten free lifestyle can be due to the alternatives that are used in gluten free products. Through blogs and whatnot, I have seen that many Hashimoto’s patients are successfully getting healthier and feeling much better on a paleo diet. I believe it is the change I need to make in order to get healthy, however I haven’t got a clue where to start. To me, this cookbook would be a great help in changing myself and my family over to a paleo lifestyle. By the way, I have followed both of your pages on facebook. Love the egg free options. It is so hard to find recipes that taste amazing that are DF, EF, and GF. We just found out my 11 year old son needs to be GF and DF. Needless to say he is depressed because he doesn’t think he’ll be able to eat anything that tastes delicious and that he’ll stand out like an alien amongst his friends at school, parties etc. HELP! This book looks like it will definitely help to alleviate his fears! I already follow you on facebook and just liked elana’s pantry. Keeping my fingers crossed…. Would you ship to Germany? I am a German graphic design student and I was tested positive for Coeliac Disease, dairy (casein) allergies and candida, so I have to live sugar-free as well. Which was a relief on one hand, since I finally got to know what is wrong with me. but in the other hand it was shocking and definitely pretty overwhelming, but I guess you guys know what I mean 🙂 Before, I’ve barely eaten anything because I felt so sick and my whole body just behaved like against me . as I learnt more about this way of life, reading every gluten-sugar-dairy-free blog, including yours(!) on the internet, trying out so much recipes, and really got into it I’ve slowly been getting used to eat and live this way. in fact, I love it and I feel great! if it just wouldn’t be sooo expensive here in Germany, ingredients are rarely to find and everything costs a lot and a lot of time (which I, as a student, actually do not have)..
I’ve shared on Facebook and am now following both pages on Facebook as well. 1. Intriqued by the photos!!! Drooling here. 2. I follow you both on FB. I am in the process of converting the whole family to Paleo, with 2 college kids at the house it has been a challenge! This would give me some new ways to introduce food. I am intrigued by Elana’s cookbook because I recently started eating gluten, sugar and dairy free. I would welcome new ideas and recipes for this new lifestyle. Already following Elana on FB. I liked Elana’s pantry on facebook! Very pleased to follow Cook It Allergy Free on FB. I’m excited to see the variety of allergy free foods found in this cookbook! I’m intrigued she could find a way to decide which of her wonderful recipes to share! I shared this post on pintrest! I also shared this post on my facebook wall! I love how the recipes are so simple yet turn out so incredible! I can’t wait to use her new cookbook! I also shared this post on twitter! Can you tell I REALLY would LOVE to win this. We have 3 in our family of 7 that have to be gluten/dairy free!! I ‘like’ Elana’s Pantry on facebook! I follow Elena’s Pantry website and facebook. I can’t wait to see what she has come up with for the Paleo diet. I have been following it for years and am always looking for more resources. I follow Elana on facebook. I am always intrigued by Elana’s recipes for sweets and treats. Baking is like rocket science to me. That’s one smart cookie to come up with these creative ideas. Been paleo for about seven months and always looking for new ideas. Really feel better! I think the concept of Paleo is just great and you can’t go wrong with gluten free/dairy free!! I tried making this recipe when it first came out and they turned out wonderfully! Thanks for this awesome giveaway!!! What intrigues me most about this book is the Paleo aspect of course. I have Elana’s other two books and I’m curious to see what new recipes she has come up with that are more Paleo friendly. Thanks again! followed CIAF on Facebook. I am really excited about this cookbook. I have her Almond Flour one and I love it. Okay post #2 🙂 I have liked both your page and Elana’s FB pages 🙂 Thanks again for the opportunity to win such an awesome book!!! Post #3 😀 I have shared this on FB 🙂 Thanks again. Good luck to everyone!!! I have read Elana’s Pantry (the blog) for a long time and eat largely Paleo. I’d love to have a copy of her new book. Thanks! I have liked Cook It Allergy Free and Elana’s Pantry on FB. I just shared the link on my Facebook page and tagged two friends that I know are following the Paleo diet and told them to enter. One of them had just asked me about some Paleo recipes. I am intrigued by HOW SIMPLE these recipes look and yet how delicious they sound! Post # 2 – I like Elana’s Pantry on Facebook! Been a follower of both this blog and Elana’s Pantry blog for awhile now. I love all the recipes, so this book would be a great addition to my repertoire! As I have followed both blogs, I have also liked both Facebook pages for some time now too. I liked Elana’s Pantry and cook IT allergy free on FB! I love Elanas other books so think this will be great too! 1. 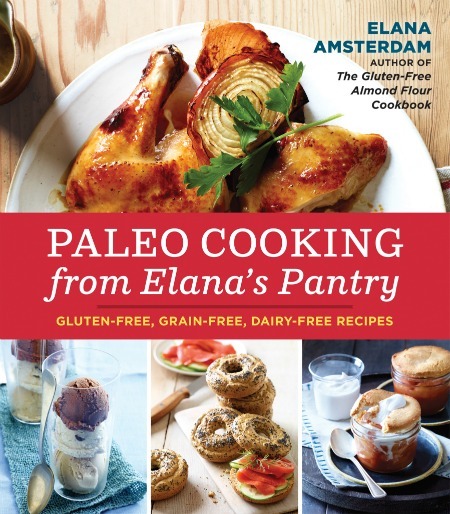 I love Elana’s recipes and eat mostly paleo, so I KNOW I would LOVE this cookbook! 2. I already “like” Elana’s Pantry on FB. The book is intriguing because of Elana and her blog. I discovered her site more than a year ago and hvae enjoyed the variety and the simplicity that she brings to the table. I have followed Elana on Facebook. I have added Cook IT Allergy Free to my likes!! I just liked Elana’s Pantry on Facebook! I just liked Cooking Allergy Free on Facebook! Elana’s blog was one of the first I found when I started changing the way I eat. I LOVE what she makes…but I always need more ideas! I liked Elana’s pantry on FB! And am sharing this link on my page! I liked Elana’s pantry on FB and am sharing this link on my page! I love eating paleo, I love Elana’s blog so I would love to see her cookbook as well! I have been reading her blog for quite awhile and REALLY want all her best recipes in one spot! I also already follow Elena on fb! I follow both of you on Facebook ! My husband is interested in eating paleo, but I have been thinking it’s too hard or weird or something. The food pictured on the cover of the cookbook looks un-weird and wonderful. I like the idea of simple food that doesn’t take forever to make. I liked “cook IT allergy free” and Elana’s Pantry on facebook. I want the cookbook because I’m just starting out with Paleo and I could use all the help I can get!! I already follow Elana’s pantry. I would love to win this book. I love Elana’s blog! I Like Cook It Allergy Free and Elana’s Pantry on Facebook. I am intrigued by this Paleo cookbook because sometimes I lack the creativity in the kitchen to come up with yummy recipes myself. Elana’s recipes always sound so good! Been a huge fan of Elana’s on Facebook for some time now. I am so interested in these recipes as we try to eat healthier. I would love to try this cookbook! Already liked on FB and shared on Pinterest! I’ve already tried many of Elana’s recipies (from her Facebook page). I’ve been gluten free for years and am semi-paleo too. and I love cookbooks. Would love to have it! Thanks for the giveaway! I love that her recipes are gluten free and dairy free as my child is allergic to both. So I would love to try out some of her recipes. 1. I love Elana’s recipes that I’ve tried on her website so far and I would love to see more and have it at my fingertips when I’m in my kitchen! 2. I already follow Elana’s Pantry, which is how I found out about this contest! 3. I have shared this post with all my friends on Facebook!! Just read to leave a separate comment for each – let me try again! Love it! Super excited to try it. I follow both of you on FB! Thanks for sharing the news about a new cookbook by her! Thanks for keeping us allergy free! I am sharing this on Pintrest. What interests me is that you say it’s SIMPLE and FLAVORFUL. I have followed Elana since the early days of being diagnosed with a gluten allergy. Her recipes are fantastic. As I’ve moved more towards paleo I’m interested to see what new and exciting things she’s come up with. I follow both Cook IT Allergy Free and Elana’s Pantry on Facebook. Thanks for the giveaway! We have been eating gluten free for over a year. 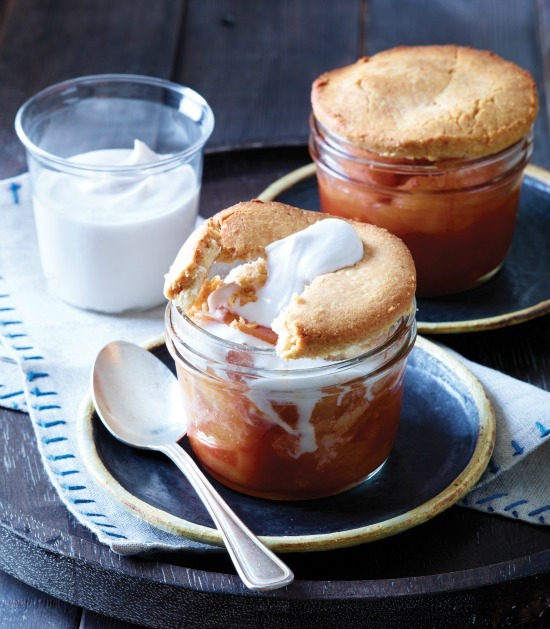 These apple tartlets look wonderfully delicious and easy. Been eating healthy since February and found Elena’s blog looking for gluten free healthy recipes. This cookbook looks so wonderful. The recipe for upside down apple tartlets look mouthwatering! #2, Already follow Elana’s Pantry. Now following you too. 🙂 Thanks. #3, Shared on Facebook. Fingers crossed. I love that it is Paleo and simple. I have Elena’s almond flour cookbook and love it, so I’m sure this one would be a hit as well – especially since my family is paleo! 2. I have just liked both Cook It Allergy Free and/or Elana’s Pantry on my Facebook. 3. I have shared this on FB to spread the word about this wonderful cookbook. I just realized that I follow Elana’s Pantry as well! I would love to win this book! Last week we found my son has a long list of food allergies. This will be a big adjustment for our family & this book seems to be exactly what were looking for!! I’m so excited I found your page & this book! I Follow Elana’s Pantry and have 3 of her books. Her books and site helped me to become more creative in my GF cooking. I had completely given up on packaged GF foods because they seemed so devoid of nutrients and full of sugars. When I first was diagnosed with Celiac in 2000, finding recipes was a bit of a challenge. Now thanks to so many wonderful sites, I have plenty to choose from! Looking forward to following you as well! Paleo intrigues me and so does simplicity. Eating healthy with simple ingredients is my life! Thanks for sharing! Just followed Elana’s Pantry on FB and already followed Cook IT Allergy Free. I LOVE my Almond flour cook book from Elana– I am sure this one is fantastic as well! I have two previous books by Elana. They are well used. I can’t wait for this one!!!!!!! Her food has become a staple in my house. I follow Elana on Facebook! Thanks!!!!! Sharing your post and give a way on my Facebook page. Thanks bunches!!!! Good luck everyone! I am new to The Paleo lifestyle. This cookbook is exactly what I need to be successful on this lifestyle change. I am excited about recipes that use almond or coconut flour!! My hubby is low carb. and it is hard to find things without other flours! Looks great, pinned on Pinterest. I’ve eaten gluten-free, dairy-free and sugar-free for 2 years now and feel great. Used to take 14 medications for 4 different “diagnosis”. I love Elana’s Pantry!! I follow her on Facebook and visit her site regularly. I also recommend her site to all of my friends who are primal/paleo or just starting to try something new to feel better and look better! I would love to win this cookbook. Elana’s recipes are fantastic so I’m sure the cookbook is a must have. I will share this on Facebook with all! I shared the cookbook via pinterest and will share on Facebook, too! I absolutely love the recipes I have tried from Elana’s Pantry. My family has been so happy since I found this wonderful resource. I am so excited to get this cookbook. Thanks so much!! Elana’s first cookbook was one of the first GF cookbook I bought after going GF, and I have several go-to recipes out of that one. Looking forward to the new one! My husband was recently diagnosed with Celiac’s and Elana’s recipes have been wonderful for both of us. I really would like to have more recipes to follow! I already follow Elana’s Pantry and I just followed Cook It! and Number 1: I would love to find more safe recipes to try! I am excited that my mom and I can actually eat the recipies. Everything about this cookbook looks amazing. I have seen it advertised on a couple blogs now and I definitely want to own a copy! I “liked” both Cook it Allergy Free and Elana’s Pantry on Facebook! I entered before, but now I follow Cook It Allergy Free and I just pinned this on Pinterest. I repinned this link, the recipe looks delicious!!! I so hope I win this!! I’m always on the look out for dairy-free paleo recipes. Many paleo people use goats milk or raw milk still, but when you’re casein intolerant it doesn’t matter if the milk is raw or from a goat- it still makes you sick! Yay for dairy-free paleo! Pss I will share on Facebook right now! “Liked” Elana’s Pantry on Facebook! I love Elana’s books and recipes because everything is so simple yet amazingly delicious! I love that Elana’s recipes are simple with few ingredients. That’s the first thing I look at…if the list is too long, I don’t make it! I just started following Cook it Allergy Free on FB. I have sensitivities to gluten, wheat, corn, eggs, dairy and soy. I think this cookbook would be a big help. I follow both Cook It Allergy Free and Elana’s Pantry. Looks delicious. Since I have Celiac would love to win your cookbook. I’d love this book! I have her first cookbook and love it for its simple healthy recipes. I just started following Cook It Allergy Free and Elana’s Pantry, both my partner and my son have gluten and dairy allergies. Gluten we just figured out. I have PCOS so eating grain free and paleo seems to be the way to go. I struggle with breakfast for myself as I am not too awake in the mornings and I like to eat things that do not require a lot of brain power, but will last me a good part of the morning. I will be posting to pintrest. After many years of digestive issues, going grain free has been a life saver. Finding ways to intrigue others of the healthy and yummy options out there for people who suffer from IBS and other diseases is a goal of mine. I am tired of hearing people say, “Oh, I am sorry, you can’t eat that” when, in fact, I don’t want to because of the consequences. I look forward to reading and creating the recipes. Love Elena. Follow her on Facebook. Have her books. Can’t wait for new book! I love the recipes and the pales diet. I want to change my lifestyle and think this cookbook will make it fun and worthwhile. i’m excited that the book is nightshade free too- it’s tough to find paleo recipes like that! I am starting out my birthday with alot of changes one is being newly diagnosed with celiac and a friend just sent me your site! Cant wait to check out the great new recipes! I just signed up for meal plans. As full time mom and full time, work, this will help keep the guess work out of being newly diagnosed and trying to figure out what i can make and eat for meals.